The news archive of the German Society for Philosophy of Science (GWP). Submitted by Ludger Jansen (Ruhr University Bochum & University of Rostock). Ontology of social, legal, and economic concepts – e.g., groups, norms, cooperation, competition, economic and legal agent, utility, money, risk, rationality, market, etc. 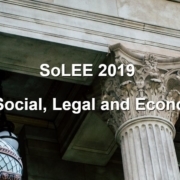 Social and legal norms – in social, legal and economic environments. Aaron Wendland from the Higher School of Economics, Moscow, recently launched a popular philosophy column in the New Statesman. The column aims to provide a space for publicly-minded academics to address contemporary social, cultural, and political issues from a philosophical point of view. So far, pieces by Martha Nussbaum, Jeff McMahan, Judith Butler, and Tim Williamson have been published. In the upcoming weeks, there will be articles by Simon Blackburn, Wendy Brown, Sally Haslanger, and Peter Singer. Anyone who is interested in the column is encouraged to follow Aaron on Twitter @ajwendland for new articles and regular updates. Submitted by Stephan Hartmann (MCMP, LMU Munich). Please submit an extended abstract (max 1000 words) and a short abstract (max 100 words) suitable for blind review until *28 April 2019* via the EasyChair review system (link below). There are two categories: presentations and posters. 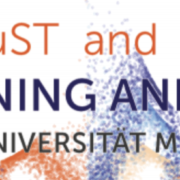 The conference is jointly organized by the Munich Center for Mathematical Philosophy (MCMP) at the LMU Munich and the Center for Logic, Language and Cognition (LLC) of the University of Turin. Financial support from ERC Starting Investigator Grants No. 639276, “Philosophy of Pharmacology”, directed by Barbara Osimani (Ancona/Munich) and No. 640638, “Making Scientific Inferences More Objective”, directed by Jan Sprenger (Turin), is gratefully acknowledged. For further questions please contact scientific.error.2019@gmail.com. What concepts of causation are required by libertarian and compatibilist theories of free will? Which constraints and consequences follow from the endorsement of specific theories of causation for one’s understanding of control that the agent exerts over her actions? What is the relation between concepts such as free will, agency, sourcehood, control, intervention, causation, and (in)determinism? We invite submissions of abstracts for 30 minutes presentations followed by 15 min discussions. Proposals may be submitted on any of the aforementioned questions, but also on related topics. Please submit your abstract (max. 700 words), prepared for blind-review, via email (subject: “SUBMISSION – FREE WILL AND CAUSALITY – YOUR SURNAME) to maria.sekatskaya@gmail.com. The name of the author as well as affiliation information should be included in the email. The submission deadline is April 30, 2019. Submitted by Maria Kronfeldner (CEU). The call for applications for 2019/20 is currently open. The deadline is 15 April 2019. Submitted by Paul Hasselkuß (University of Duesseldorf). The Novembertagung on the History and Philosophy of Mathematics is an annual international conference aimed at PhD and postdoctoral students (young scholars) in the history and philosophy of mathematics. In 2019 the Novembertagung will be held in Strasbourg. Lodging will be at the CIARUS from 30/10 to 02/11 and the conferences at the IRMA, from 31/10 to 02/11. The invited speakers are June Barrow-Green (Open University) and Roy Wagner (ETH Zurich). 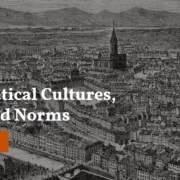 How can we characterize mathematical communities and cultures? What historiographical and epistemological categories should one use when describing these shared ways of doing mathematics? How does mathematical knowledge circulate between these communities? What role do values and norms, be it epistemic, aesthetic or political, play in the shaping of mathematical cultures? What role do values and norms play in shaping the individual mathematician and his work? How can historians and philosophers evaluate the impact of these cultural aspects on the mathematics being produced? Contributions less strictly related to this theme are also welcome; however, establishing links with the theme will allow for more fruitful discussions, and as such is recommended. We are happy to host presentations pertaining to historical, historiographical, or philosophical discussions of this theme. Abstracts, of around 250 words, should be submitted by May 15th 2019, via the submission form: https://novembertagung.wordpress.com/call-for-abstracts/submission/. If you have any questions, you can contact the organisers via mail: novembertagung2019@math.unistra.fr. The conference is organised by Paul Hasselkuß (Düsseldorf), Tiago Hirth (Lisbon), Deborah Kant (Konstanz), Rosie Lev-Halutz (Tel Aviv), Nicolas Michel (Paris, Sphere), Gatien Ricotier (Strasbourg) and Benjamin Wilck (HU Berlin). For now, the 30th Novembertagung is graciously supported by the GDR 3398 “Histoire des mathématiques”, the Labex IRMIA and the Institut de Recherche Mathématique Avancée (IRMA). Submitted by Florian Fischer (University of Siegen). Day 1: The logic of future contingents in Aristotle and Ockham. Discussion led by Calvin Normore (UCLA) and Magali Roques (Hamburg). Day 2: Decision, freedom, and reasoning about the future. Discussion led by Alison Fernandes (Trinity College Dublin). Day 3: Grounding and the open future. Discussion led by Roberto Loss (Hamburg). We feel that there is a fundamental difference between the past and the future. The past seems to us fixed and settled, whereas the future is open and up for grabs. This sense of an asymmetry grips us most strongly in our capacity as agents: we think of ourselves as capable of settling how thing ago in the future, whereas the past is something we have to come to terms with and accept. How should we understand this phenomenon? Is there an absolute metaphysical difference between the past and future, or is any apparent difference rather a product of our perspective as agents? How, if at all, does our sense of the difference between past and future relate to the directionality of causation, and to our status as causal beings? And how does this asymmetry structure practical rationality and deliberation? This conference aims to bring together a variety of approaches to these questions, uniting common themes from the history of philosophy, the philosophy of time and causation, and the philosophy of action. Registration for both the seminar and conference is free, although regrettably we are unable to cover participants’ travel and accommodation expenses. To register for the seminar, please send a letter of motivation and a CV to all of julian.bacharach.13@ucl.ac.uk, magali.roques@gmail.com, and Florian.Fischer@uni-siegen.de. Organised by Magali Roques (Hamburg), Florian Fischer (Bonn/Siegen), and Julian Bacharach (UCL). The seminar and conference are organised by the Society for Philosophy of Time (www.spotime.org), and generously supported by a grant from the Fritz-Thyssen Stiftung. 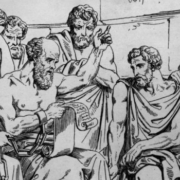 SOPhiA 2019 provides an opportunity for students and doctoral candidates in philosophy to take a first peek into the philosophical business and to get in touch with prospective or well established philosophers. Contributions in every discipline of philosophy (epistemology, ethics, logic, metaphysics, philosophy of mind, philosophy of religion, philosophy of science, etc.) are welcome. As common in analytic philosophy, contributors should make use of understandable language as well as rational argumentation. In addition to the conference presentations there will also be affiliated workshops on selected topics in analytic philosophy. Students and doctoral candidates (pre-doc) in philosophy are encouraged to submit an abstract prepared for double-blind review. We are committed to fostering diversity and equality in our programs. Submissions from underrepresented groups are particularly welcome. Abstracts should not exceed 2.000 characters. All submissions should be suitable for a presentation of approximately 20 minutes in length (plus 10 minutes discussion). Please submit your abstract with a biographical note and a short CV attached in a separate document at http://www.sophia-conference.org/ until May 1, 2019. Attendees are asked to register at the same site before the conference. Note that authors may appear as co-authors on multiple submissions, but not more often than once as first author/presenter. Contributors are also invited to submit a full paper (from 4.000 up to 8.000 words) not including any author or affiliation information. A selection of full papers will be published in KRITERION — Journal of Philosophy. The best contribution will also be awarded with 250 EUR at SOPhiA 2019. Please prepare your full paper according to the guidelines available at http://www.kriterion-journal-of-philosophy.org/ and submit it via e-mail (subject line: SOPhiA 2019) to editor@kriterion-journal-of-philosophy.org. Please note that only full papers in English submitted before the general deadline (May 1, 2019) can be considered for the SOPhiA best paper award and that contributors are not allowed to be first or co-author of more than one paper submitted for the SOPhiA best paper award. The European Philosophy of Science Association (EPSA) calls for proposals for the venue of EPSA21, its eighth conference, to be held in the autumn of 2021. The biennial conference is the main scientific event of the EPSA, typically attracting 300-400 philosophers of science from across the world. It usually comprises 200 contributed and symposia talks, organized in as many as eight different sections, and taking place in five or six parallel sessions. A selection of papers from the conference will be published as a special edition of the European Journal for Philosophy of Science. The conference is typically hosted by a philosophy of science unit, and its venue must be a recognized European academic or research institution. The event takes place in the autumn over a period of 3-4 days (which must include a Saturday) in alternating years to the conferences of the Philosophy of Science Association (PSA). Past conferences have taken place at Madrid (2007), Amsterdam (2009), Athens (2011), Helsinki (2013), Düsseldorf (2015), and Exeter (2017). EPSA19 will take place in Geneva, Switzerland. A Local Organizing Committee (LOC) is set up at the host institution — with a remit to organize the event itself. 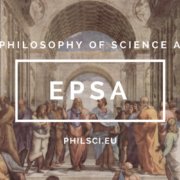 About one year in advance, the Steering Committee (SC) of the EPSA puts out a call for papers and selects a Program Committee (PC) comprising distinguished philosophers of science. The LOC, SC, and PC are non-overlapping sets of people, with the exception of the Chairs of the LOC and PC, who may be drawn from the SC. The name of the organizing unit or research institution. The name of the academic or research institute hosting the event. The proposed dates in the autumn of 2021 (expected to be a long weekend from end of August to end of November 2021). The CV of the Chair(s) of the LOC. An estimated budget proposal, including rough estimates for the following expenses: a) building and facilities, b) catering, c) conference registration packs (x200 delegates minimum), d) personnel, e) expected financial contribution by the host institution and/or a funding agency. For more information about our past conferences, please visit our website or contact us at phil-epsa@bristol.ac.uk. Submitted by Anna Kellerer, TU Munich. Application is possible from January 01 until May 31 2017. 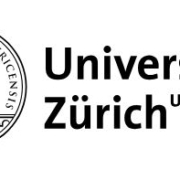 The Munich Center for Technology in Society (MCTS) of the TU Munich launched its new Master’s program in Science and Technology Studies this year. It is an English language program. Next application will be possible from January 01 2017 on. Please forward this information to any students who might be interested in obtaining a Master’s in degree in STS. The STS Master’s Program at MCTS is empirical, interdisciplinary, reflexive and research oriented. 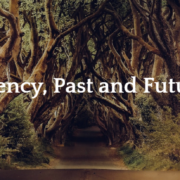 From bio-technology to energy transitions, from automated mobility to data security – the big challenges of todays’ societies are inseparably connected to scientific, technical and social questions. The Master’s program Science and Technology Studies (STS) will teach you how to reflexively research, develop problem-solving skills and critically intervene in the big socio-technical issues of our time. Alongside the STS Master’s program, we offer specializations in the Philosophy of Science and Technology or the History of Science and Technology. The STS Master’s program is research oriented. The program prepares you for future academic research (such as a PhD), as well as careers in science and technology management, science communication and journalism, and in science funding and policy. Studying the Master’s program STS will equip you to deal with the challenges and to embrace the opportunities of todays’ technologized societies. The application platform for the new Master’s program opens at January 01 2017. The application period will close on May 31 2017. If you are interested in the program or have any questions, please send an email to sts@mcts.tum.de. More information is provided on our website: www.mcts.tum.de.